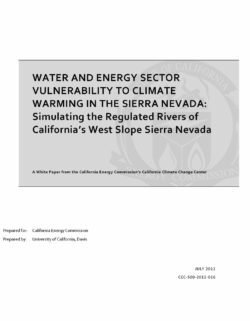 Climate warming is expected to affect the beneficial uses of water in the Sierra Nevada, impacting nearly every resident of California. 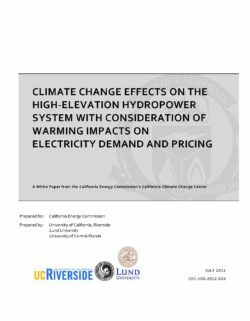 This paper describes the development and results from an integrated water resource management model encompassing water operations and hydropower generation for the west slope Sierra Nevada spanning the Feather River basin in the north to the Kern River basin in the south at the weekly time step. This model application includes management of reservoirs, run-of-river hydropower plants, water supply demand locations, conveyances, and instream flow requirement. 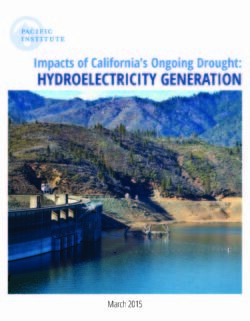 Model validation indicates that most major hydropower turbine flows were simulated well, with wetter years modeled more effectively than drier years. 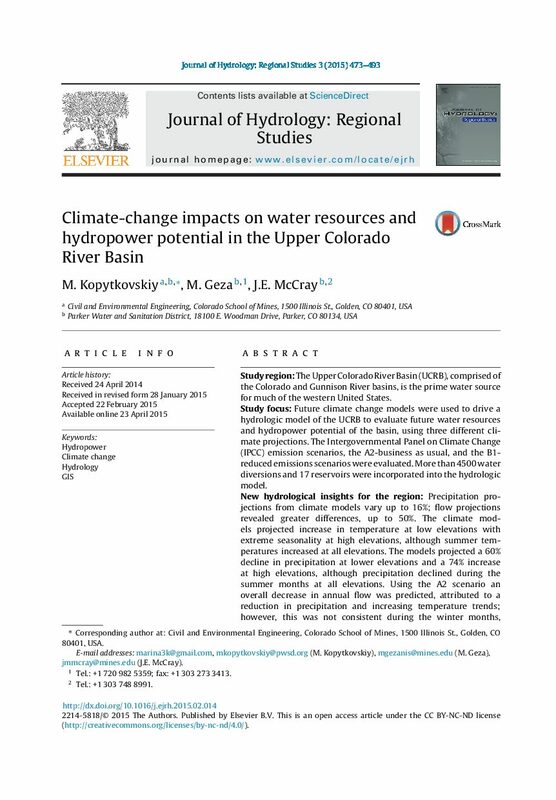 The results of this work indicated that hydropower generation will be reduced by approximately 8 percent with 6°C (10.8°F) warming, consistent with other studies, with a conservative parameterization of no change in precipitation. 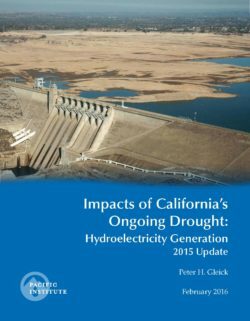 Reservoir operations adapt to capture earlier and greater runoff volumes that result from earlier and greater runoff due to climate warming. Seasonal compensation in operations is insufficient to overcome warming mediated losses.